This seminar forms part of the 2019 Guernsey Funds CPD Seminar Series – a series of 10 CPD seminars, which take place once a month. The 2019 Guernsey Funds CPD Seminar Series provides essential updates for those working in the funds sector, delivered by industry recognised experts. This series will comprise 10 monthly seminars of 60 minutes, inclusive of a 15-minute Q&A, covering a wide range of topics. Craig is an asset management lawyer advising on all aspects of the structuring, restructuring, merger, establishment and operation of investment funds and other collective investment arrangements, including the marketing of investment vehicles in numerous jurisdictions. He was the only offshore lawyer to be named in the Private Fund Management's Top 30 under 40 list, which includes partners from New York practices, Magic Circle City firms, in-house counsel and lawyers based across Asia. 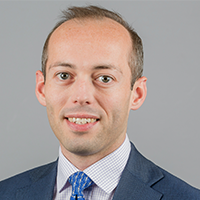 Before joining Ogier in 2016, Craig spent over 10 years working in the investment funds teams of two leading international law firms in London.